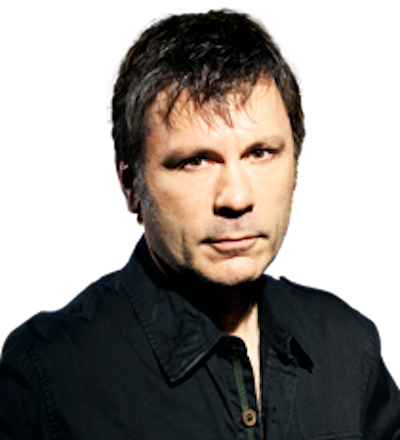 Iron Maiden frontman, Bruce Dickinson, says he thought about leaving Iron Maiden following the release of 1984 album Powerslave. The band embarked on a gruelling run of dates across the world in support of the record on their World Slavery Tour, which was documented in Maiden’s classic 1985 album Live After Death. However, after the tour was over, Dickinson gave serious thought to walking away from the music industry due to the grind of life on the road. Dickinson did the band in 1993, but returned, in 1999, with the band launching the studio album Brave New World in 2000. The vocalist, released his autobiography What Does This Button Do? on October 19th and Iron Maiden will head out on The Legacy Of The Beast tour in 2018. I am sure we are all glad the Bruce decided to stay in Iron Maiden after all (even though he did leave for while). I think anybody can definitely understand after being on the road that long, and knowing that you are financially set for life, you could consider if you still want to live that kind of life. Especially someone like Bruce that has multiple interests outside of music and performing. I know that when I go on a business trip of a couple of weeks, I am just completely drained when I get back. I can’t imagine travelling for over a year! And what I do isn’t nearly as physically taxing as what Bruce does when he performs with Iron Maiden. You have to have some balance in your life, in order to do this kind of thing for the long term. God, I remember seeing these new upstarts (Iron Maiden) open for Judas Priest in the 80’s. Even then you could tell they were legit. I also like the Paul Di’Anno songs as well. They have a certain grit that I still like. T, I agree with your comments about the Di’Anno songs. Di’Anno had a little punk influence that i think helped Maiden be successful since punk music was popular when Maiden started out. “Killers” is my favorite Maiden album, just a great collection of songs and my favorite album cover. Lol…what he’s not saying is that singing Harris’s lyrics night after night made him go coo coo for cocoa puffs.